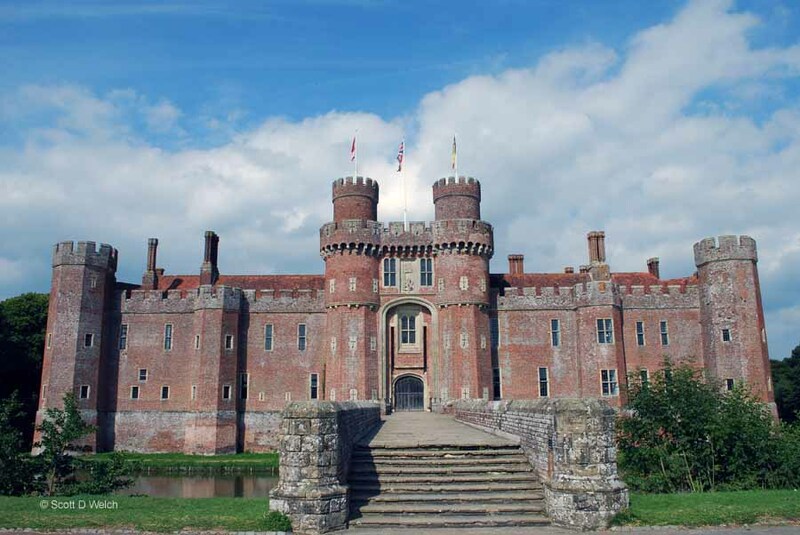 Boasting a fairly colorful history, including standing as an exterior walls-only edifice for well over a century, Herstmonceux Castle’s name derived from very early 12th century owners of a manor house that existed on the site, Idonea de Herst who married Ingelram de Monceux, a Norman nobleman. 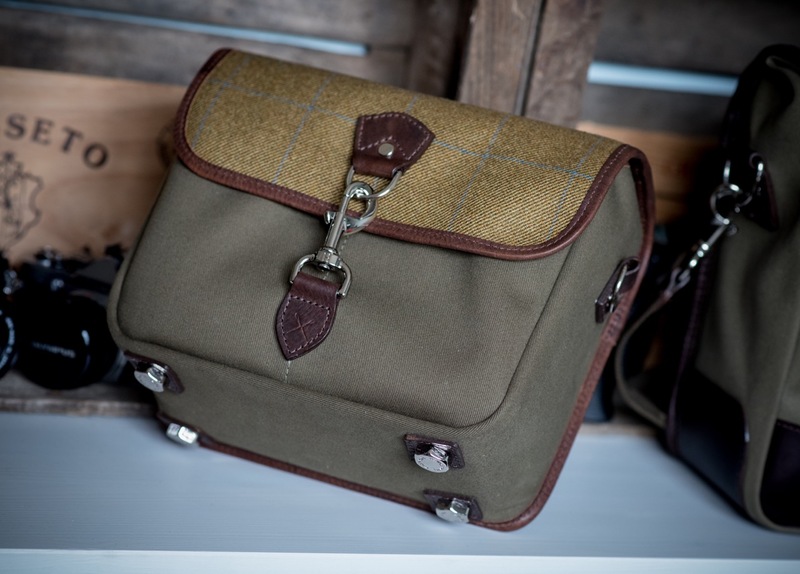 At that time, the manor house was called “Herst of the Monceux.” There is evidence that in 1066 some other structure existed before the manor in this location. 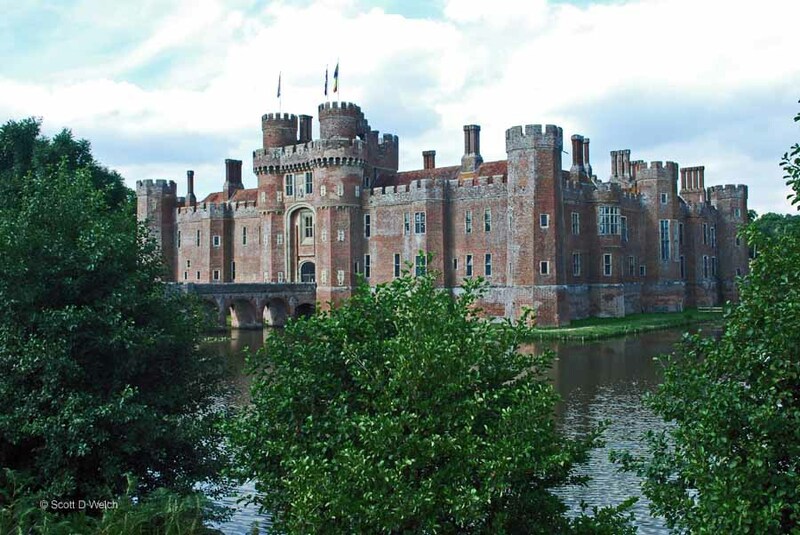 Construction of the actual castle did not begin until 1441 by Roger Fiennes, a Monceux descendant, who was appointed Treasurer of the Household by King Henry VI. Unique to Herstmonceux is that brick was not a common material used during that time, as it was not being built as a fortress from which to defend attacks but, rather, as a grand residence. In the early 18th century the castle was sold to another family and by 1777 it’s existence as a ruin began. 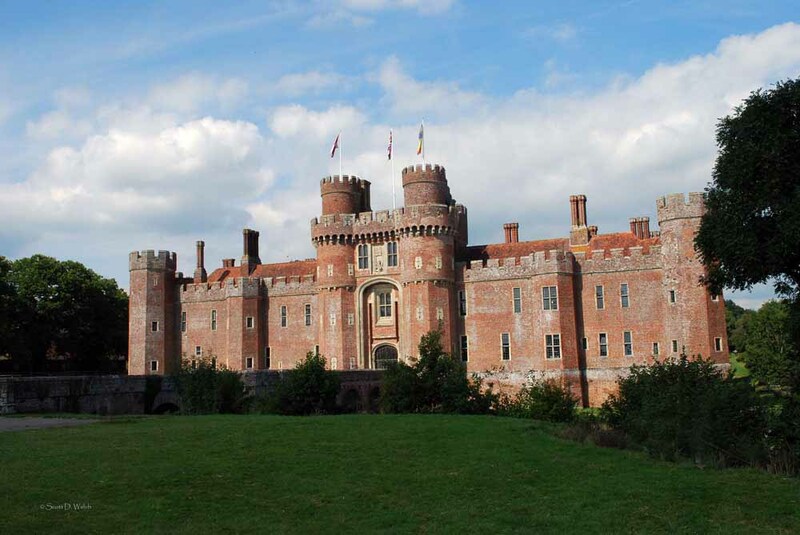 In 1913, new owners brought Herstmonceux back into life as a residence. The castle changed hands between various owners until 1946 when it was purchased and turned into the Royal Greenwich Observatory, until it moved in 1988. The castle sat vacant until 1992 when it became part of Queen’s University at Kingston (Ontario, Canada) and was known as Queen’s International Study Centre (ISC), with primarily arts or commerce students. The name later changed, in 2009, to Bader International Study Centre, after Alfred Bader, the Queen’s alum who first had the idea to turn this castle into a university study center. Though gaining entry to the ISC may not occur, the exterior grounds and the outstanding brick structure make it a worthwhile visit.